Kongming at Bat: Home Run of the Three Kingdoms! We hope you enjoyed our 2011 April Fools' day joke. As each time before, we now return to our regularly scheduled program of dead folk and centuries-old literature. 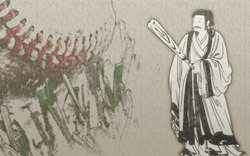 You can see the prank, Kongming at Bat (this page), in the event you missed it, and you can also view the archived forum discussions. Goodnight everyone! Discuss "Best. Legal. Response. Ever." A lively debate has risen over why baseball has been chosen. Baseball is so last century. Staged wrestling matches are what's cool now. Make the Diamond a Ring, so all the admins can wear skin-tight costumes and silly masks. I want to see what wrestling names everyone chooses for themselves. Wrastlin' would probably most likely definitely qualify as an Americanish sport, but I'm not too sure about the whole admin team wearing skin-tight costumes and silly masks. Sounds like trouble. Lady Wu proposed, in turn, that, "I vote we get the new members to do it instead as an initiation ceremony." Sounds like a reasonable compromise? I know nothing about baseball (soccer rules!) so does this make me qualified to pick a team and suggest I know better then it's manager? Sure! Why not? It has never stopped someone before. Clearly if its not going to be baseball it should be a soccer forum. Only the best sport in the world! Because we want to be Americanish. DUH! What's the sense in picking a sport in which we are more likely to lose? And then they go on to discuss the merits of football vs. soccer. Clearly there's only one way this can be resolved: with a community poll! What sport do you want to see represented in the new Kongming's Archives? Can you explain how that sport is Americanish? What will we call the website? Kongming at Bat is just so catchy. Who is going to wear the spandex? Decide here! Some guy chucks a ball in to this other guy's face, other guy tries to ward it off with a stick, then runs like hell, then a bunch of people go look for the ball and hurl it at the running guy to stop him from running. Theft is involved. I only know that the baseball bat is a favourite murder weapon in teenage fictions. What inspires you about baseball? Think of the pitcher as Cao Cao, determined to get rid of the viceroys of Wu (the batter), one after the other. First base is Eastern Wu, Second base is Jing, and Third base is Yi. To stop Cao Cao, you have to make sure you withstand his initial assault (hit the ball), then rally the troops at home (first base), then take it to Jing (second) and then get to Yi (third) to call for help from Shu. If you make it home alive, then you've succeeded. Note that you can't run the bases out of order. Can’t get to Yi without going through Jing first. Discuss "Kindly Guidance from the Community"
Home Run of the Three Kingdoms? Well, you might be thinking that, and certainly I could understand where you're coming from—after all, Kongming's Archives has been Kongming's Archives for nearly ten years now. Why would you expect to see something baseball related? This good question is worthy of an answer. Some of you have grown to know me on the forum, and if you know me, you've realized by now that I have a pretty short attention span. In fact, it is rather remarkable that I've been able to focus on the Three Kingdoms for as long as I have. Anyway, my attention span started to do its thing about a year ago and I've been knuckle dragging ever since—knuckle dragging so long that my knuckles hurt from too much dragging. I need to do something new—something which inspires me. So I figured, hey, I spent so much time and energy focusing on Asia—Chinese history, a Chinese novel, and a series of (admittedly fun) games (mostly developed in Japan)—but what about the Western world? What about America? I should do something Americanish—Westernish—to round myself out: to become a well-rounded human being. And what's more American than Baseball? You in the back, no, it's not obesity. Baseball is slightly more American than obesity, but the hotdogs probably confuse things. Anyway, baseball. Baseball: I'm going to blog about it. I don't know much about it right now. In fact, I know little more today than I did back when I was busy sucking at it in high school. But what's the fun in becoming knowledgeable about a subject before you start discussing it? I'm going to learn about it with all of you right here. Eventually I'll become a go-to source for all things Baseball, but for the time being you can simply entertain yourself with my complete lack of knowledge. So anyway, please share your thoughts and ideas. 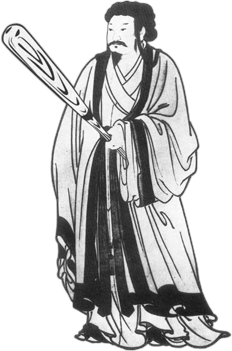 You can write to us in the Home Run of the Three Kingdoms topic at our forum, still named Scholars of Shen Zhou (by the way, what should we change its name to?) and you're welcome to contact me by email as well. I thought it through and I'm going to stay at kongming.net. 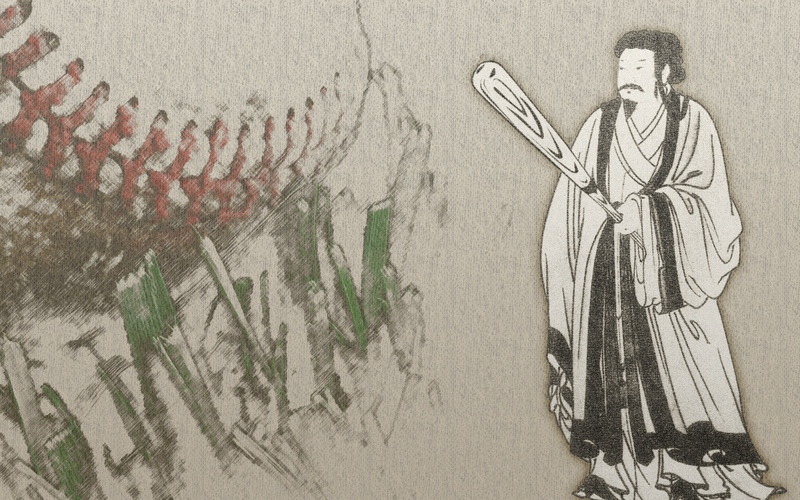 I'm sure some of you are baseball fans—or can become baseball fans—and who knows, maybe we'll find out that baseball and the Three Kingdoms have quite a lot in common! Discuss "Home Run of the Three Kingdoms"
What the hell? Give me Kongming's Archives!